You must make reservations at least 5 minutes in advance of the time at Nacho Mama's - Towson. SAME AS DOWNTOWN, BUT DIFFERENT! heart for the restaurant business and natural way of making people feel one of a kind. Neighborhood”… And the rest is history. We proudly continue this spirit year for year. Nacho Mama’s is known for an atmosphere that represents an “All Things Baltimore” theme. Ask us what is our favorite beer? We’ll shout … Natty Boh, Hon! Ask us about the football player that will be in our hearts forever? Ask us the best way to serve a Margarita? In a Hubcap, of course! Our food is always Tex-Mex with a Maryland twist, otherwise known as MD-Mex with jumbo size portions. Hours: Mon.-Sun. 11 a.m.-1 a.m.
We originally had a party of 8 that grew to a party of 12. The staff was super accommodating on a Sunday early evening. The service was swift and everyone’s food was great! Pretty good,,,except for soft drinks being served in a plastic cup didnt care for that. When you sit down to eat yu dnt expect a clear throw away cup. We have been to Nacho Mama's in Towson many times and have had, usually, great experiences. On this visit, we were seated in the bar area for the first time. It was St. Patrick's Day and neither my husband or I drink alcohol. Unfortunately, at least on this evening, the only "servers" were the bartenders who were very friendly but taking orders, refilling drinks, serving food, etc. is not a bartenders' priority. Also, there were a lot of people seated at the bar, plus people standing behind those seated at bar stools - the walkway between the bar and the high top tables is fairly narrow so when people had to get through, customers going to the restroom, servers, bus boys, etc., my chair was constantly bumped (unintentitionally) because of the layout. The food was great as always, but I would not recommend being seated in the bar area if you come for the food. DELICIOSO!! We were a party of six, and we pretty much ate everything on the menu! Ok, I am exaggerating. But it did feel like we did. Everything was delicious and freshly prepared. The service was great. And did I mention the bottomless chips with queso and salsa? BEST EVER. We'll be back for more! I am a regular at downtown location. I was very disappointed in this location. 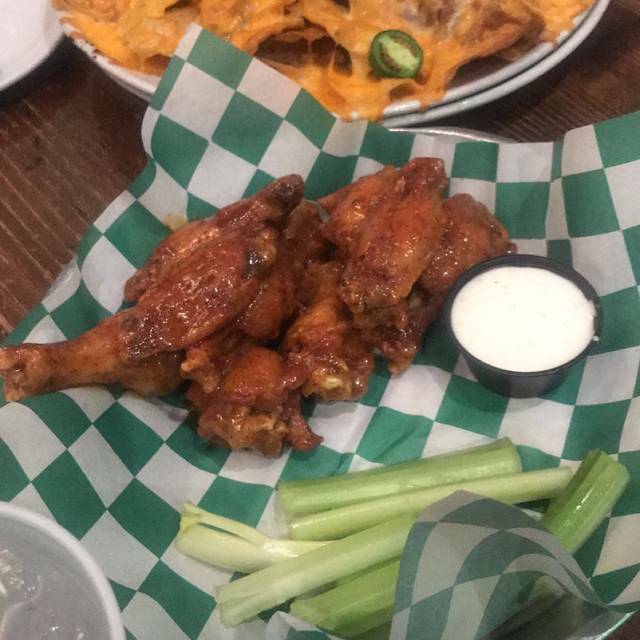 The sticky wings were not sticky with very little sauce. The fajtas were brown even the veggies with very little food for the money. The ceasar sald was ot ceasar salad. the salad was iceberg lettuce and some other kind of dressing and no paresean cheese. Great food and service; however our party of 10 was seated near the door and it was very cold when people went in and out. They should also offer chips and salsa at no charge. Great ambiance, great service. Meeting a bit limited.. no carne asada or other steak. Competitor Mezcal had a better menu. The food comes fast and hot for the most part (if you come outside of prime time hours). Definitely recommend making a reservation because the wait time can be upwards of an hour. Friendly environment. Wonderful food with excelent service! Awesome fajitas, taco’s and burrito’s. The happy hour mararita’s were good too! Great place to celebrate a birthday. First time going to the nacho mamas in Towson instead of canton and it was refreshing to skip the dive bar vibe. Always-delicious enchiladas. Great server. Prices are so reasonable. Visited on a Weds night - it was very slow in the restaurant. Our server, Ali, was excellent! Very efficient and super friendly! Our food was great - chicken quesadilla, pulled pork tacos, and bottomless chips, cheese & salsa - delicious! One of our go-to restaurants! Great happy hour offerings and prices. Parking is a problem but worth it! Love your bar staff! Casey rocks! Always attentive, great sense of humor, on the ball! The food and the service was very good we only had one problem, the waitress did not explain the menu and the prices of the alcohol we were blindsided by the hub cap prices and than she stated to us we should have noted the price on the menu. Great meal at Nacho Namas as always! Our server Tory was excellent! My husband's favorite dish is the buffalo chicken burrito, which was not on the menu, but Tory assured us that it was available to order. The burrito was delicious and the quesadilla I ordered was great! Mystery was also solved as to why no reservations were ever available on Friday or Saturday evenings from 6-9 - they don't accept them during this time..so when Open Table says no times are available - don't believe it but you'll probably have a wait for a table! We had a small company lunch meeting (5 people) in the Elvis Room! Such a cool spot and while there was music in this little room, it was very comfortable and private from others dining. We all had an amazing lunch and the staff was very wonderful and accommodating. Would definitely go back! Great Mexican food! 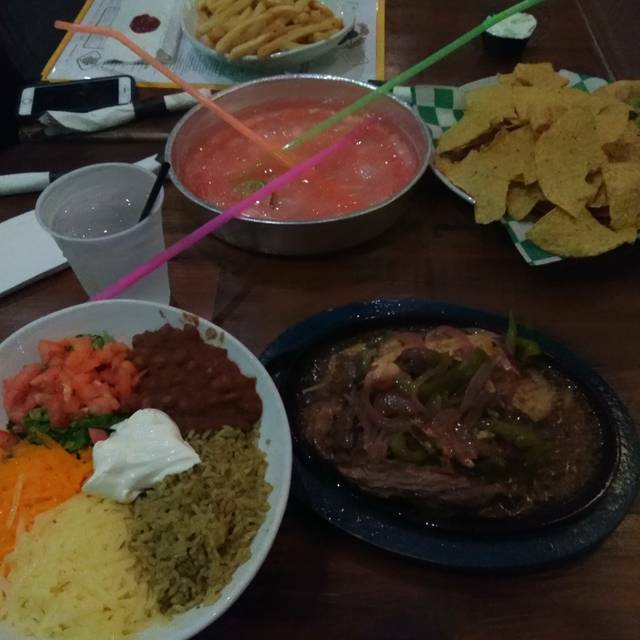 We were very pleased with the food, and I was particularly impressed with the not-sweet skinny margarita. We'll be back. So, maybe it was just a bad weeknight for Nacho Mama’s. The weary waitstaff could not be bothered to follow through on a request. A diner can ask for the same menu item four times in a 20 minute period and it will fall on deaf ears. You’ll never once hear “Would you like another drink?” at this establishment. You’ll be lucky to cobble together enough tableware from an adjoining table to make it through your meal. I won’t return to this Towson restaurant but I will give their Canton locations a try. We had a great reunion lunch at Nacho Mama’s in Towson. Our server was terrific and made good recommendations that really were as good as claimed. It’s good value for the money, and the desert churros with chocolate were awesome! The restaurant is a very fun place and was perfect for our lunch get together. However, the three of us found the food to be mediocre and almost bland. We ordered the guacamole and chips without looking at the menu and we were surprised to find out that it was $12! A better choice would have been the bottomless chips, salsa and queso for $3. All our previous visits have been outstanding - food, service, atmosphere - excellent. This was our first visit for lunch. The food was still good - nachos were left in the oven a little too long - cheese was brown on top and there was no cheesiness to it. The service, however, was AWFUL. Our server, Emily, was too busy walking back and forth - even when she brought something to a nearby table - she didn't bother to check-in. We were without drinks almost all of the time - had to flag down another server to get refills. Needed refill on bottomless chips/dip/salsa - nothing. We have a lot of restaurant experience and she had to be one of the worst that we've had in a very long time. Even when she eventually brought refills at our request to the other server, she didn't bother to apologize for ignoring us and providing no service. Nice place. Great service, but it was a slow rainy weekday lunch. So not much pressure on the wait staff. Standard Americanized Mexican food. Nothing spectacular, but nothing bad, either. Could see it hopping on a Friday or weekend evening with a very different atmosphere. Might get REALLY LOUD then, though. Would probably be fun with a date. Doubt if the food would change, though. Absolutely love this place... great drinks and great food! Always an enjoyable experience! then maybe you’d be ok.
Great hostess, the waiter seemed inexperienced but courteous. The drinks took too long to get to the table. The food was good but not exceptional. The value is average. Other places are cheaper. all was well, however, the seafood quesadilla was not as good and rich as the canton location. I was a little disappointed . The server was very enthusiastic and helpful. The food is so good here and the wait staff is very friendly. Love the margaritas too. Wow $34 for a margarita!!?? I know they are suppose to be for 2 people, but that's still way over priced. I did not expect to spend $80 on a fajita, nachos and margarita for 2! Prices are outrageous. Good vibe, great margaritas, not so great food. Service was very prompt and our food came out quickly, but it was pretty mediocre. It was my birthday celebration for Meeeee!!!!!. Thank you for letting us use the Elvis room. It was AWESOME. Do something about the nachos, too many chips, chicken was dried out and the cheese was burnt and hard. i had to send it back which I have never done. I have been a server for 30 years, in fact, the whole table was servers, past and present. If that were me, I would not have let it out of the kitchen. You all have a great reputation, you are way better than that. Thanks. The brunch was delicious, the service was great, and the $2 brunch cocktails are definitely a steal, and worth the trip alone! I love this location. We were seated immediately, the staff here are professional and friendly. The food was good and they drinks were awesome. Go big or go home, gotta get a hub cap margarita. My friends took me out for my birthday, and since they know I am a tequila snob, we got the Pricilla and the King. if you walk in and past the threshold not going to the bar the other area. we had the second booth against the wall. And our server who we still till today can not remember her name was awesome. we are sorry we cant remember your name but she was great checked in on us and came back with what we asked for. felt nice to for once not be a host. me and my friends will be back again. and the food was perfect came out hot and on time. even though we came on a night the hockey game was on and the bar was getting packed. it was great. so again i say i will be back. Only issue I had was that she wouldn't seat us till all of our party had arrived even though we had 4 out of 6 there and I had elderly parents (in their late 70's and 80's with me), clearly tired. I had to push hard for the hostess even go back and ask the manager permission to seat us. Had it not been the rest of the experience and my elderly in-laws, I would have walked out and never gone back there.